The state law and/or district policy require that a number of forms be completed and verification provided by all Classified and Certificated employees and substitutes. 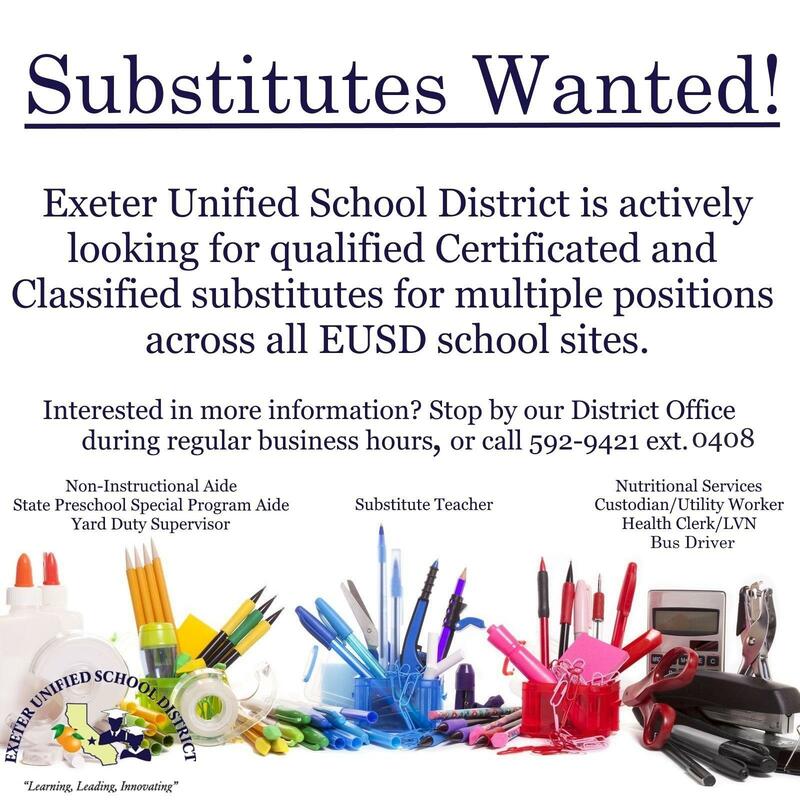 If you're interested in becoming a Classified or Certificated substitute with Exeter Unified School District, please come by our district office to pick up the appropriate application paperwork. For questions or more information regarding the substitute application process, please call our district office during regular business hours. 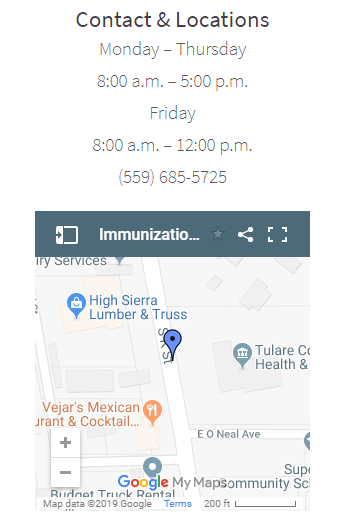 Vaccinations of this kind are not administered by Exeter Unified School District but are provided by Tulare County Health and Human Services using the information below.